The stern of the Solace 345 is one of the most unique in the industry. Solace Boats has unveiled its first new model, the 345, a center-console with some noteworthy design features. The one that will draw the most attention is the cockpit extension that runs aft between the twin outboard motors. It has a dive door and a hydraulically-extending swim platform. On each side there are two-person folding bench seats, plus a retractable bench that extends from a workstation. Forward seating in the bow is similar to what’s found in other current center consoles. 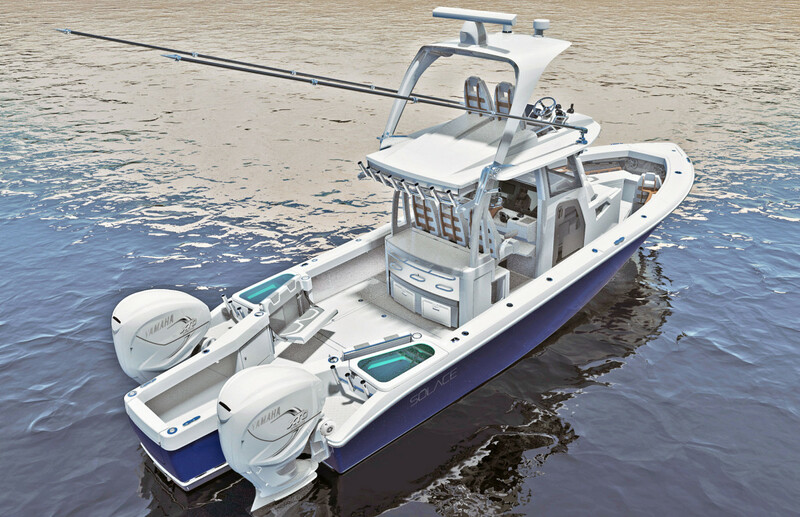 The Solace 345 is currently in production at a facility in Edgewater, Fla.